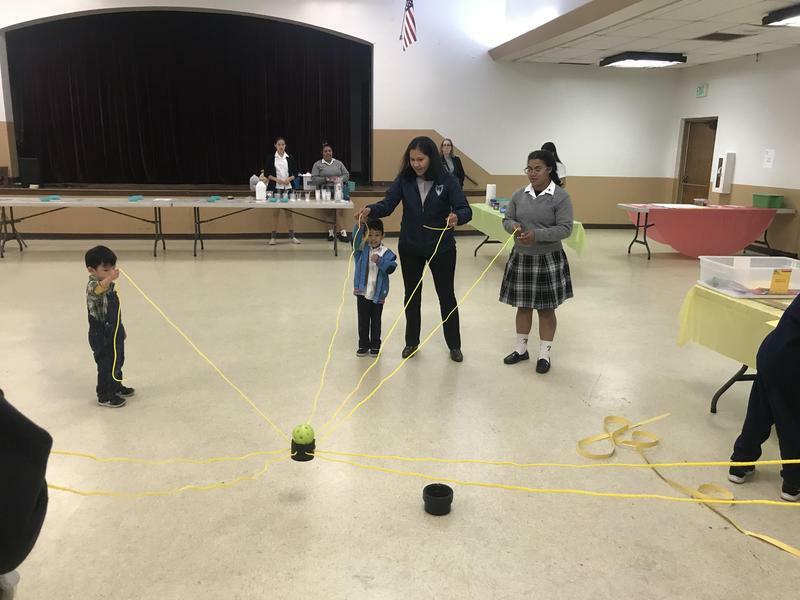 Mrs. Lopez challenged her STEM students to build a structure that can withstand the Earth's shaking. 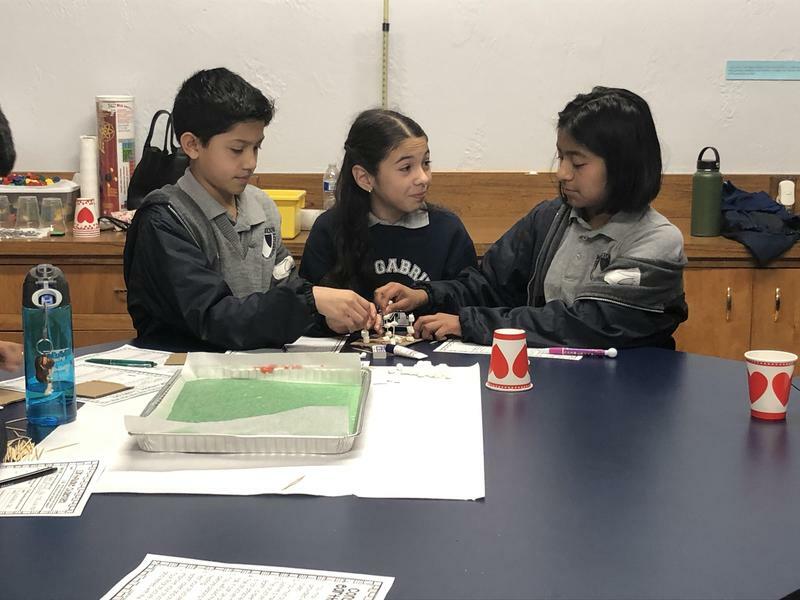 Students explored ideas of what makes a structure sound, what materials can be used (hypothetically speaking) to absorb shocks and the importance of applying sound engineering practices when building a structure in Southern California! Good job Spartans! A big THANK YOU to all who joined us at FAMILY STEM NIGHT! Mission Elementary's enrollment season has begun! We are dedicated to setting high academic and moral expectations and appropriately challenging our students in both curriculum and character. We provide the latest in STEM curriculum coupled with a well-rounded extra-curricular opportunities like Girls Who Code, Cooking, CYO sports, Dance, Chess and more! 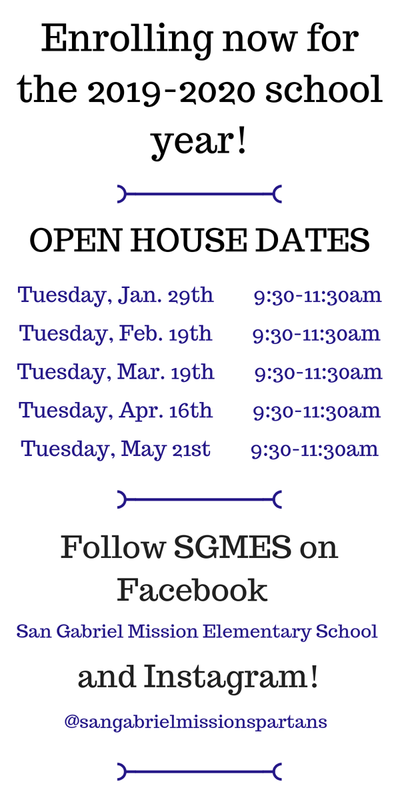 Check our upcoming tour dates or call the School Office to schedule a tour. One of our younger Spartans, Damian M., showed his true sense of "service" to the community when he suggested "Project Clean Up". Damian was concerned about the rising number of homeless and together with his Mom, they decided to put hygiene packets for distribution. 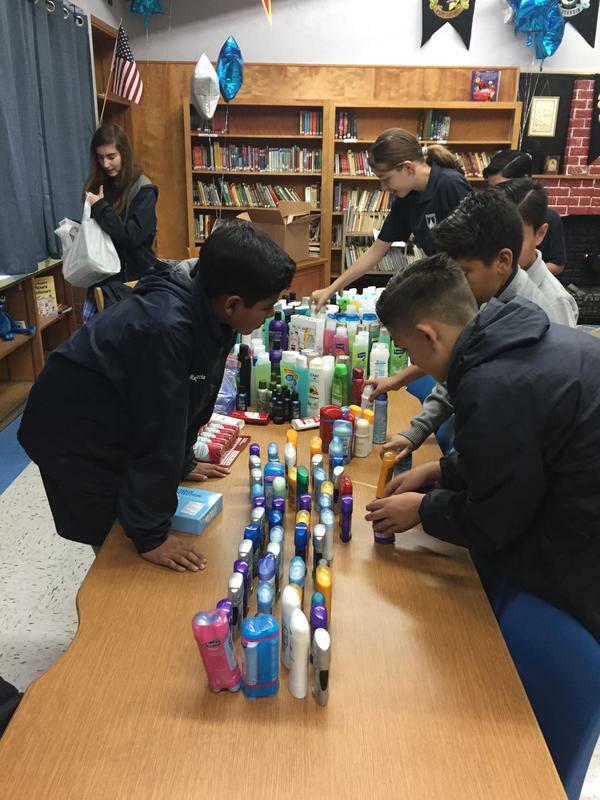 Together with the Mission Elementary student body, a total of 232 hygiene packets were assembled and distributed out on the streets of Los Angeles. We are so proud of our young Spartan and his sense of service to the community! My name is Ms. Kelly Nunez and not only am I the 8th grade homeroom and junior high Math/Science teacher, but I am also a proud SG Mission Alumna, Class of 2000!! Mission has been a part of my life since birth, having an older brother that attended Mission Elementary as well. This is my 3rd year teaching and nothing makes me happier, excited and proud, than to be back at the place that instilled so many values in my life. 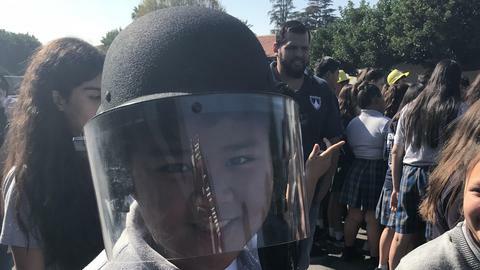 My time spent in the San Gabriel Mission School and parish has taught me many important life lessons that still hold truth and value in my life today. Mission not only strengthened my Catholic faith, identity and education, but it also prepared me for success at a college-prep high school. I learned leadership skills from being on Student Council throughout my time in Jr. High, and the value of being a part of a team and building a strong work ethic from playing the many different sports offered. I also learned about building strong friendships, and am still friends with many of my Mission classmates currently. I love to give back to the school that gave me so much, and volunteer most of my time towards extra curricular activities because I believe in the skills that they teach our students. I am one of the Academic Decathlon moderators, the girls’ softball coach, and can often be found at the different sporting events cheering on our Spartans! Although my time this year has been limited due to going back to school to work on my Masters in Education, I still try to find a balance and support our students in all that I can. Once a Spartan, ALWAYS a Spartan!